In what is apparently becoming a regular feature, The Time Bum presents some interesting watch projects now available for pre order. Let's kick this off with a couple of projects I told you about earlier, the Uhuru Impi and the revised Manchester Watch Works Tatoskok, then the high tech Tempest Carbon, and finally a peek at offerings from NDRO, Erroyl, and XPLUS. 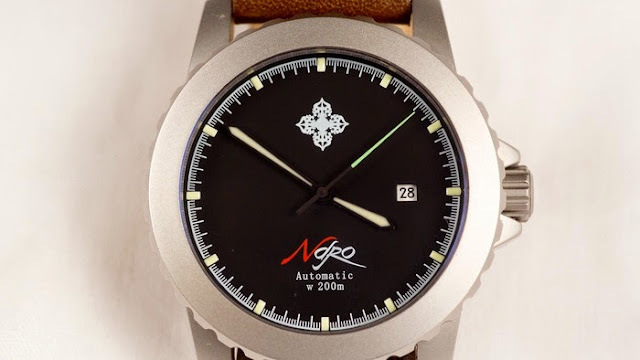 Since my interview with Nick Warner, I have eagerly awaited his project, the Uhuru Watches Impi Automatic. An impi is a Zulu warrior, armed with an assegai spear and a large cowhide shield. 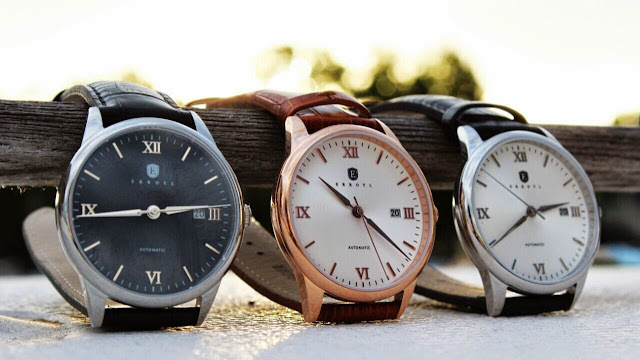 Uhuru Watches incorporates these design elements into its debut offering, the Impi Automatic. The stainless steel case echoes the shape of the shield and traditional shield markings are embossed into the leather strap. The assegai can be found in the shape of the spearhead hands. This promises to be an impressive piece. The 44mm case has an internal rotating bezel and crowns at 3 and 9 o'clock. Up front, your choice of black or cream dial is topped with a double domed sapphire crystal with anti reflective coating. The Miyota 8215 automatic movement is visible through the display case back. C3 SuperLuminova lights up the hands and markers. The watch is water resistant to 200 meters. MSRP will be @$349 USD but Kickstarter early birds can grab one for as little as $199 USD. 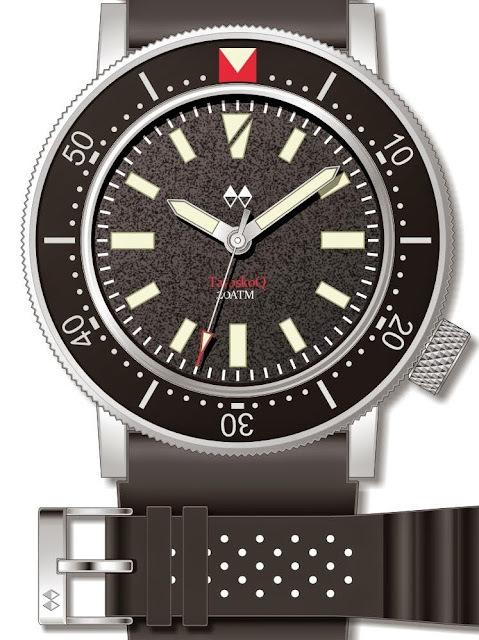 The original TatoskoQ quartz did not meet its funding goals, but MWW is undeterred. This time, they are accepting pre orders directly through a Watchuseek posting, and the watch itself has been streamlined and improved. First and foremost, the Quartz movement has been jettisoned in favor of a Miyota 9015 automatic. The case will be bead blasted, the bezel and hands will be as below, and the "Q" will be dropped from the name. All other specs remain, like the 42.5mm case, 120 click unidirectional bezel, 200m water resistance, screwed down crown and case back, sapphire crystal, and 22mm drilled lugs. Best of all, the pre order price is only $230, which is excellent for a 9015 with these specs. 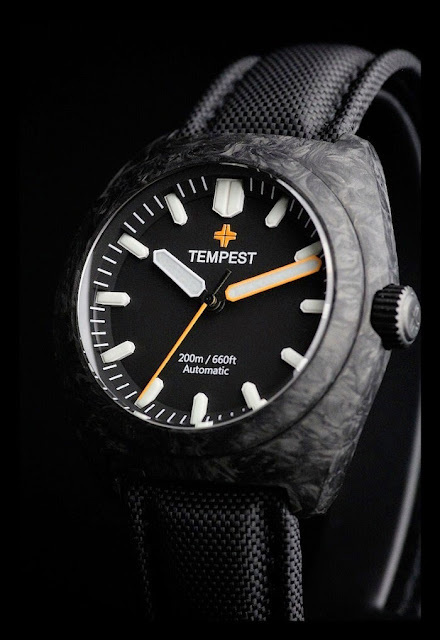 At this point, I am probably the last blogger to mention it, but Tempest Watches has launched the utterly badass Tempest Carbon on Kickstarter. The 43mm case is composed of forged carbon, a high tech material used in motorsport, aerospace, and other applications that demand both high strength and light weight. Each piece has a unique marbled pattern. The Miyota 9015 movement is housed in a separate stainless steel nestled within the carbon unit. 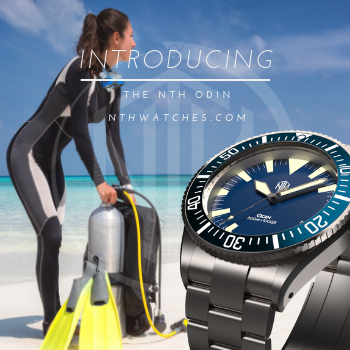 It has a double domed sapphire crystal, screw down crown, and is rated for 200 meters water resistance. BWG9 SuperLuminova graces the the hands and applied markers. The logo and second hand are treated with orange lume. The Carbon will retail for about $985 USD, but as of today, Kickstarter backers can get one for as low as $865 USD (£560). NDRO looked to Tibet for inspiration for The Dorge, named for the moment of enlightenment. 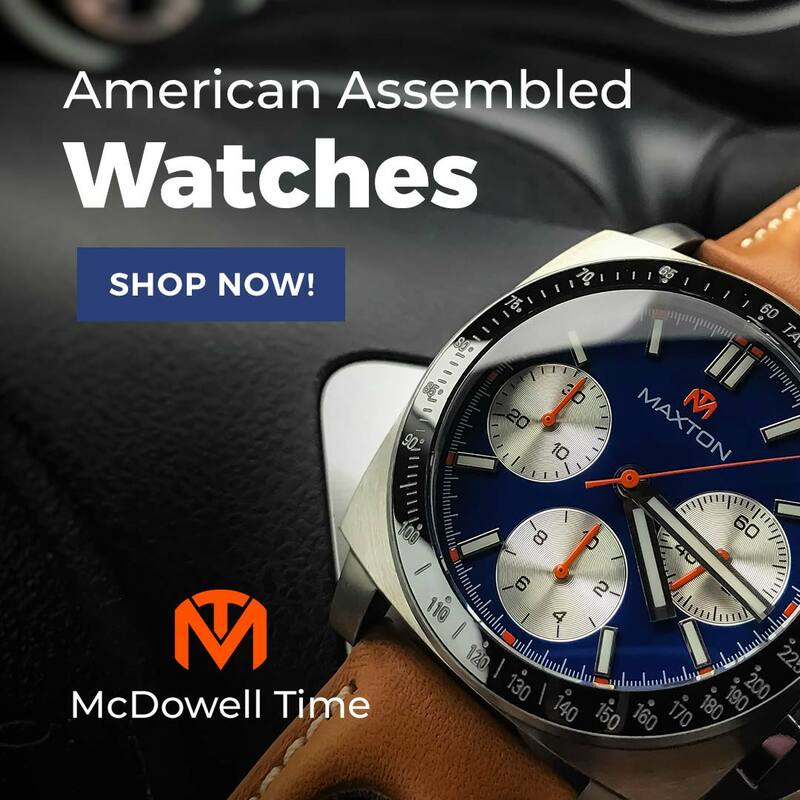 It features a Miyota 8215 automatic with engraved rotor, 45mm stainless steel case, sapphire crystals (front and display back), screw down crown, and 200 meters water resistance. 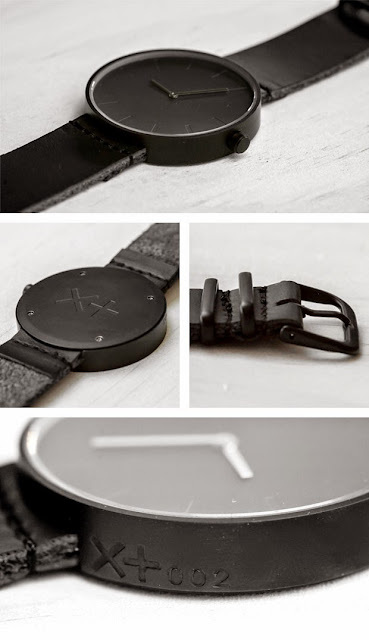 Leather and silicone straps are available. The Dorge's stripped down tool watch look, slim hands, and green minute hand remind me of the Obris Morgan Branco, although it is more decorated, bearing both the intricate "Double Dorge" symbol and calligraphic NDRO logo on the dial, and the Bhuddist prayer "Om mani padme hum" on the rotor. 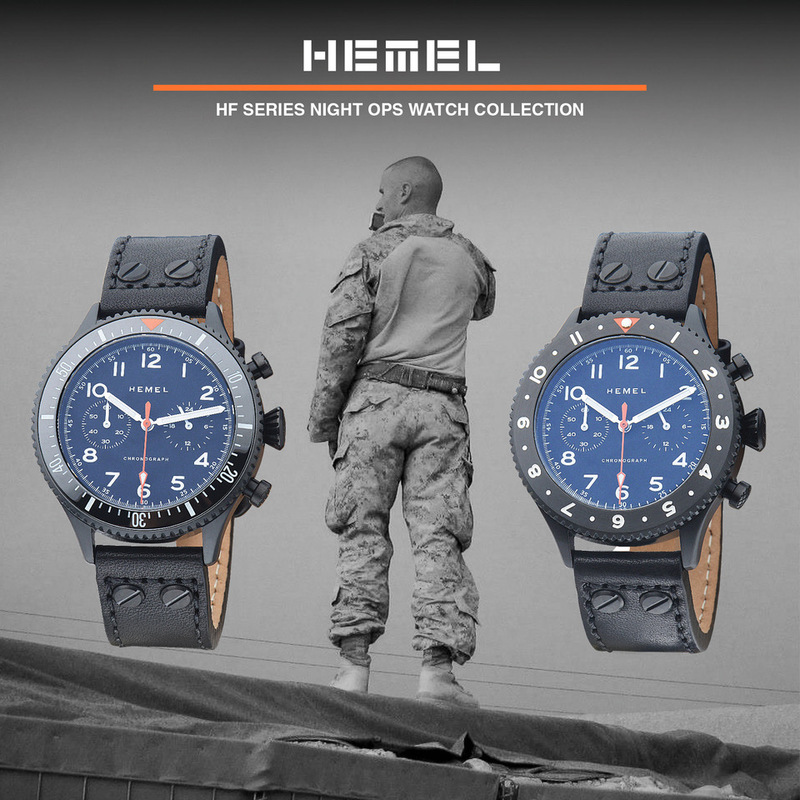 Watches are available on Kickstarter from $380. Australian micro, Erroyl has launched the E30 Heritage on Kickstarter. 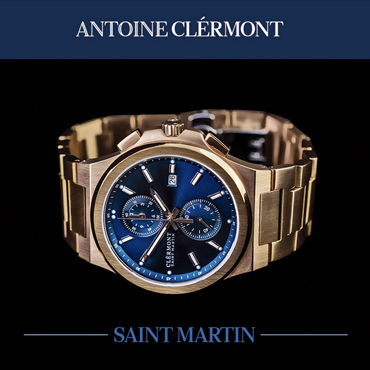 It is a conservative dress watch design that comes in black, white or rose gold. All models feature a 40mm 316L stainless steel case, Miyota Cal. 9015 automatic and self-winding movement, sapphire crystal, exhibition case back, and alligator grain leather band. Water resistance is 50 meters. The white and black models are $289 AUD (@$240 USD) and the rose gold is $299 AUD (@$249 USD). Shipping in Australia during the pre-order period is free and AUD $20 ($17 USD). Like many Kickstarter watches, the folks at XPLUS like big, sparse dials, and apparently hate lower case letters. Their two models, RAW and MATTE use a Miyota GL Quartz Movement, 44mm wide and 8.5mm thick lugless, stainless steel case, and a sapphire crystal. Finishes are raw steel or matte PVD black and carry through to all exposed elements. The dials are about as minimal as you can get, with two stick hands and just shallow depressions to mark the hours. I like its flat proportions and the total blackness of the MATTE. It's like, how much more black could this be? And the answer is none. None more black. Orders start at $127 AUD (@$104 USD).